The Descent of Hellboy is starring in The Descent and Neil Marshall, from Doomsday, starring David Harbor from the series Stranger Things. 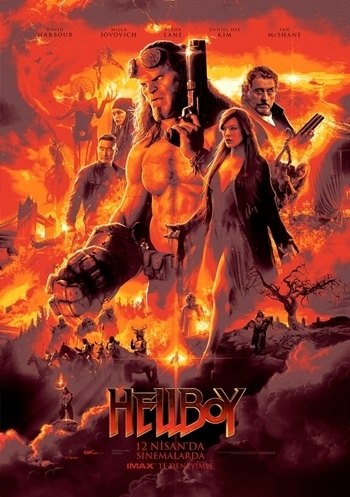 It was written by Andrew Mignola's imagination and came to the attention of Hellboy's new comic book character, Hell's new adventure on the screen, along with Mignola and Andrew Cosby and Christopher Golden. In his brand-new adventure, Hellboy fights against a wizard who is tempted by a fire of revenge and waged a war against humanity. The film's cast includes Ian McShane, Daniel Dae Kim and Sasha Lane. Milla Jovovich from the Resident Evil series portrays the evil character of the film.